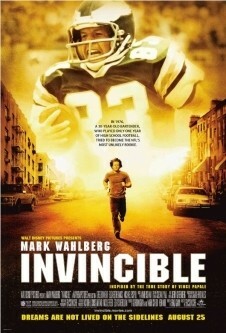 Vince Papale Autographed Invincible DVD FIRST TIME EVER IN A SPORTS MEMORABILIA PIECE! THE PERFECT GIFT FOR AN NFL FAN, CORPORATE INCENTIVE, CHRISTMAS PRESENT, INVESTMENT, SWEEPSTAKES PRIZE, GIFT BASKET ADDITION and MORE! Price includes shipping.